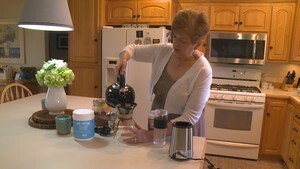 Delta (WTVG) - A northwest Ohio woman suffered from a number of chronic health problems for decades, including hypothyroidism, arthritis, fibromyalgia , heart problems and autoimmune deficiencies. She wasn't sure she would ever be cured, but a trip to Cleveland changed all that. Cindy Tedrow lives with her husband on a farm in Delta. She dealt with that long list of health problems for 44 years As you can imagine, it was physically and emotionally draining. Cindy says a trip to The Cleveland Clinic's Center for Functional Medicine was a prayer answered, "Some days just walking would take all the energy I had." In spite of that, Cindy and her husband raised two sons and she taught school for 30 years, "It was hard but I got to a point where it was just my life."